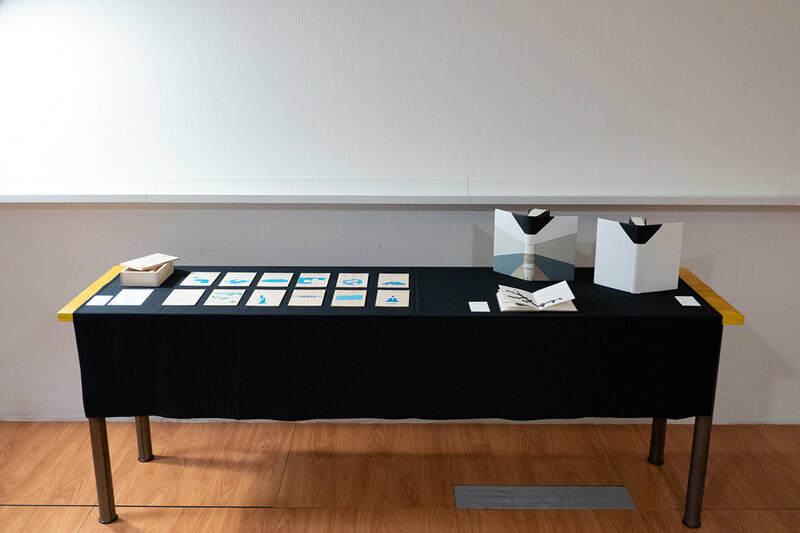 Codex Polaris has a Travelling Collection of Norwegain Artist Books assembled to travel to books fairs and exhibitions around the world. 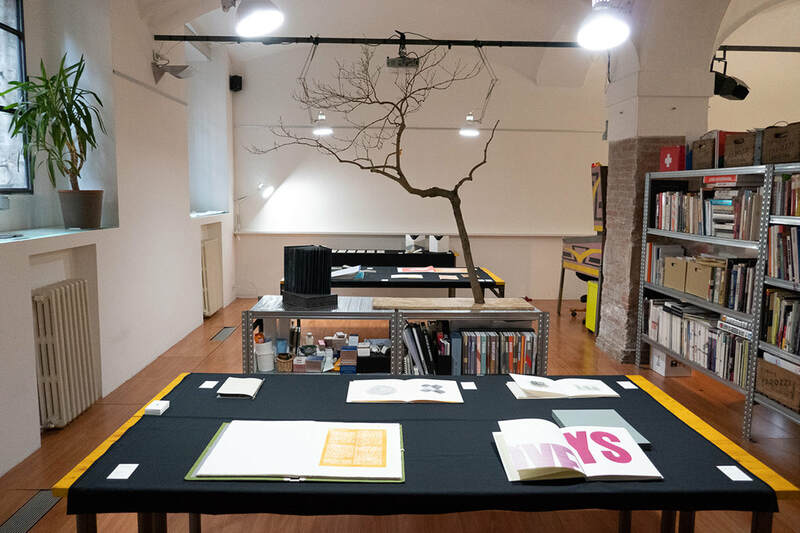 The Fruit Exhibition is the annual independent art book fair of Bologna. Open to the public, Fruit Exhibition includes artists’ books, catalogs, graphic design projects, periodicals, stationary and zines. 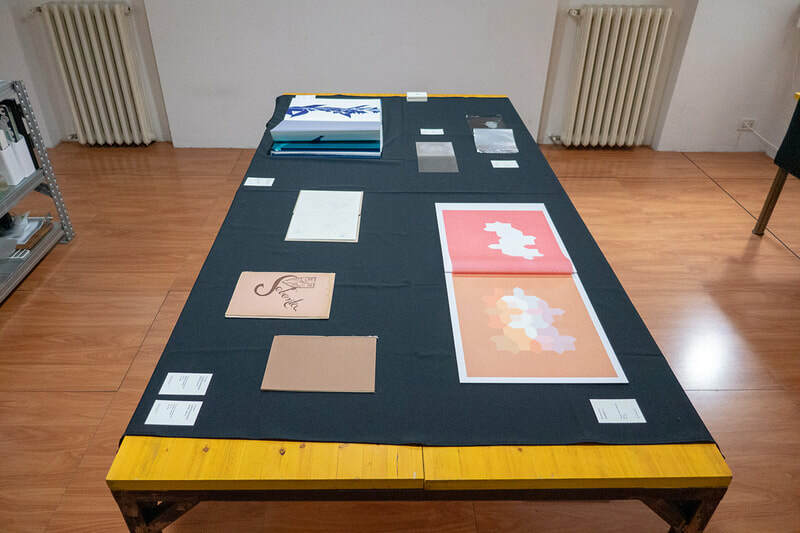 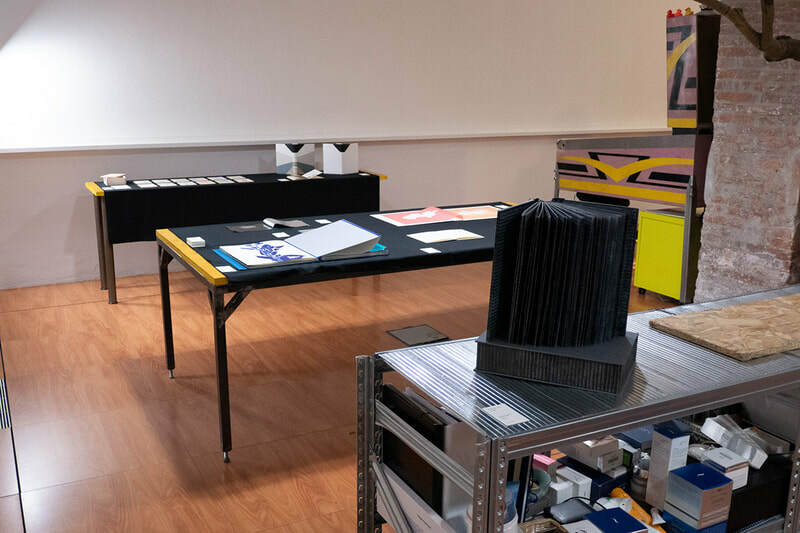 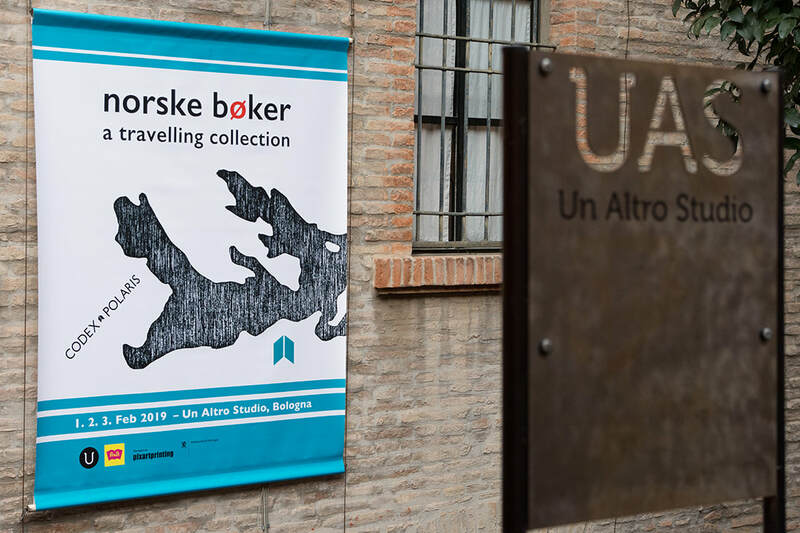 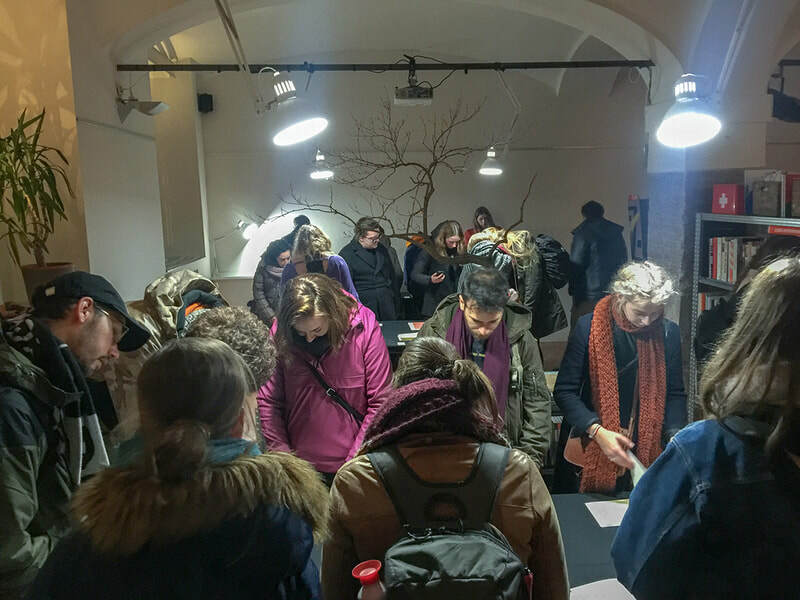 Norske bøker - a travelling collection is an exhibition event for the book fair which took place 1-3 february 2019 at Palazzo Isolani, Bolognanie Strand. 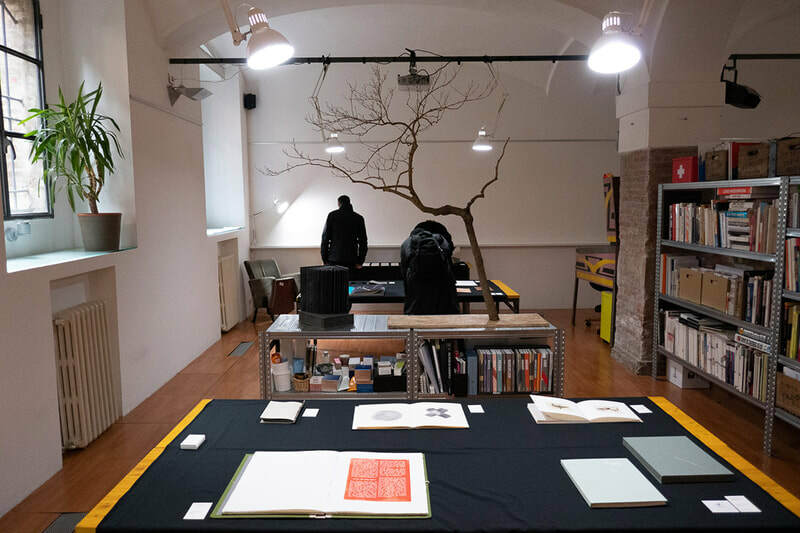 With thanks to Johan Solberg for taking A Travelling Collection to Bologna and to Isadora Liquori for the invitation.